Villa Otium: an unique place where togetherness, feeling at home and the ability to slow down in a relaxed familial and charming atmosphere are the goals. Villa Otium is a magnificent newly constructed villa that can accommodate a maximum of 15 or 22 guests, with a living space of approximately 700 m². It is located on a 2000 m² estate in the magnificent nature area of Lamormenil (Manhay). Villa Otium is located in a very quiet street (no immediate neighbours) at the edge of a very large wood, atop of a hill allowing for kilometres of panoramic vistas. 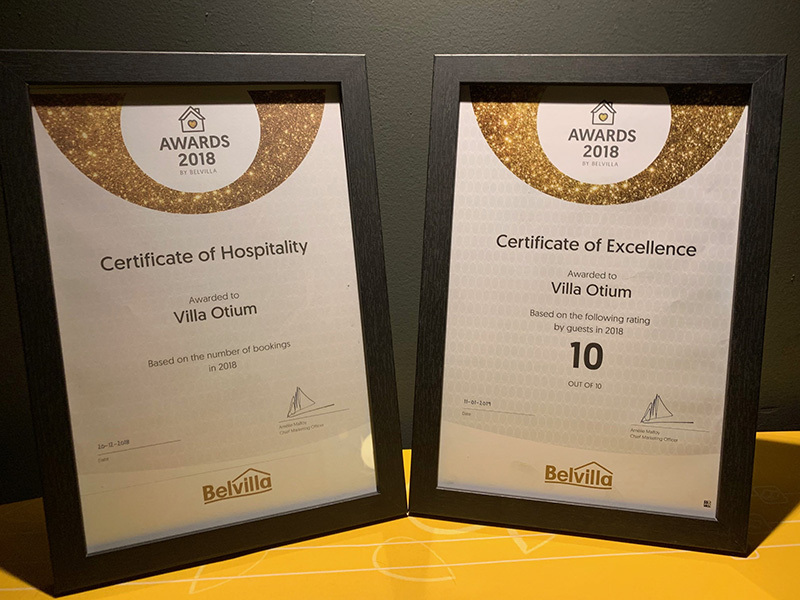 Villa Otium is the ideal stay for as well as families, companies or groups who may seek the luxury of a hotel, but with a more personal, intimate and homely feel. The fact that Villa Otium lays in the heart of the Belgian Ardennes offers an immediate environment with a lot of possibilities such as sports (even skiing and long run skiing), hiking, culture, relaxation and superb food. Shortly : whatever you may need, while enjoying yourself, this is the message we want to send.